Days of penance have come to us, that we may redeem our sins and save our souls. 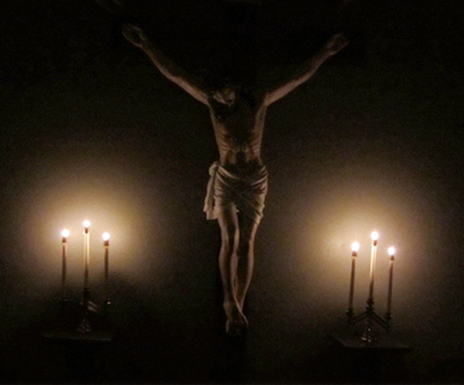 “The Lenten spirit and message are summed up in two doctrines, Christian penance and Christ’s Passion, which divide the entire forty days into two equal parts. 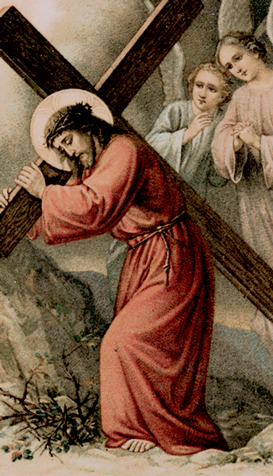 During the first part of Lent, we are called on to do penance. The Lessons and Gospels show us the true spirit of penance. They teach the devout and contrite Christian how to fast and pray and give alms, all of these actions being enlivened by the spirit of mortification. 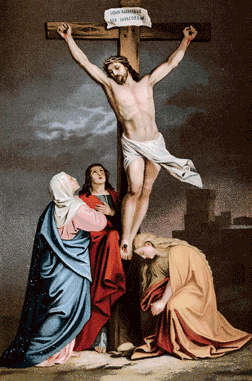 “Suffering, then, is the theme of Lent. Gradually, as the Church unfolds before our eyes the story of the Passion, we shall come to unite our own sufferings to His. Our eyes will be turned away from ourselves and our own small fasts and austerities. Instead of looking at ourselves, we shall look at Jesus, wounded and dying, hanging on the Cross for love of us. More can be read about fasting in our past newsletter. “At the commencement of...this, the greatest and most sacred of the fasts, what more fitting opening than to begin with the words of the Apostle, in whom Christ spoke, ‘Behold, now is the acceptable time; behold, now is the day of salvation’ (2 Cor. 6:2). For though there is no season that is not filled with the divine gifts, and though at each moment we have, through His grace, access to the Divine Mercy, yet now is the time in which the souls of all men should be stirred with greater fervor towards spiritual perfection and inspired with greater confidence; now, when the return of that day on which we were redeemed invites us once more to the fulfillment of all our sacred duties, so that, purified in body and soul, we may celebrate the supreme Mystery of the Passion of Our Lord. True, we ought always to be in the Divine Presence, just as much as on the Easter Feast. But since there are few that have this strength of soul, and since, because of the weakness of our flesh, a more severe observance may be relaxed, and also, since the manifold duties of the present life take up so much of our care, it will happen that even the most devout of heart are stained with the dust of earth. “Enter, then, with pious devotion upon these holy days of Lent and prepare for yourselves the works of mercy, that you may merit the Divine Mercy. Extinguish the fires of anger, wipe away all hate, love the bond of unity, give way to each other in the simplicity of true humility.... Let there be an end to vengeance. Let offences be forgiven. Let harshness be changed to mildness, disdain to gentleness, discord into peace. Let us all make trial of being modest, let all be gentle, all be kind, so that our fasting may be pleasing to God. To Him we shall offer a true sacrifice of self-denial and devotion if we keep ourselves from all iniquity, being helped in all things by Almighty God, Who with the Son and Holy Ghost is One in Divinity, One in Majesty, forever and ever. Amen.” – St. Leo, Pope and Doctor (5th century), Lent, the Season of Purification. “Behold, Dearly Beloved, the sacred days are drawing near, the acceptable time.... And so you must be more earnest in prayer and in almsgiving, in fasting and in prayer. 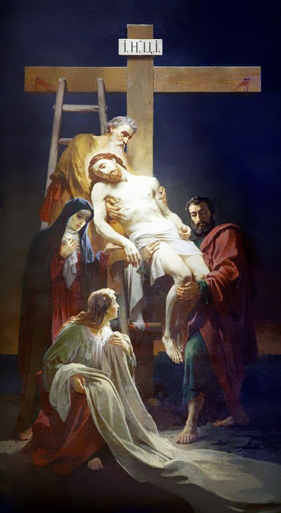 He that till now has given alms, in these days let him give more, for as water Our Lord's Crucifixion quenches a flaming fire, so does almsgiving wipe out sin (Ecces. 3:33). He that till now fasted and prayed, let him fast and pray still more, for there are certain sins which are not cast out, except by prayer and fasting (Mt. 17:20). “Should anyone cherish anger towards another, let him forgive from his heart. Should anyone take unjustly what belongs to another, let him restore it.... And though a Christian should abstain at all times from cursings and revilings, from oaths, from excessive laughter and from idle words, he must do this especially in these holy days which are set apart so that, during these forty days, he may by penance wipe out the sins of the whole year. “Our pilgrimage on earth cannot be exempt from trial. We progress by means of trial. No one knows himself except through trial, or receives a crown except after victory, or strives except against an enemy or temptations. “The one who cries from the ends of the earth is in anguish but is not left on his own. 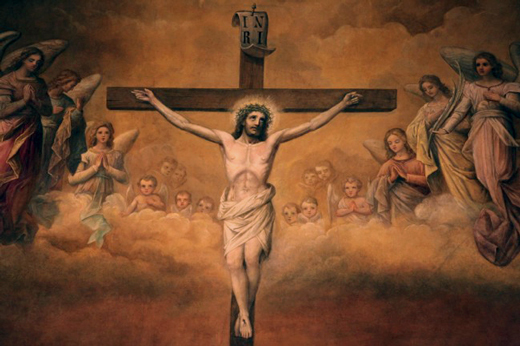 Christ chose to foreshadow us, who are His body, by means of His Body, in which He has died, risen and ascended into heaven so that the members of His body may hope to follow where their Head has gone before. “He made us one with Him when He chose to be tempted by Satan. We have heard in the Gospel (Mt. 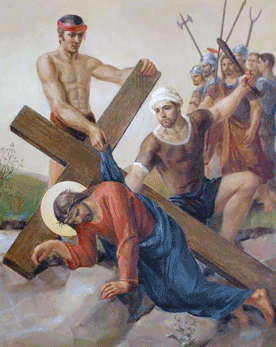 4:1-11, First Sunday in Lent) how the Lord Jesus Christ was tempted by the devil in the wilderness. 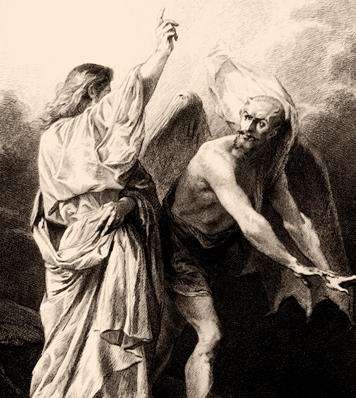 Certainly Christ was tempted by the devil. In Christ you were tempted, for Christ received His flesh from your nature but by His own power gained salvation for you; He suffered death in your nature but by His own power gained glory for you; therefore, He suffered temptation in your nature but by His own power gained victory for you. In forty days of yearly round. Be every sense in holy guard. Our souls in slavery to bind. Before Thy throne we pray and weep! Duly this sacred Lent to keep. Again to us Thy mercy show. Our fainting souls to health restore! And so to purify the soul. Hear us, O Trinity thrice blest! To reap immortal fruit on high. Amen. 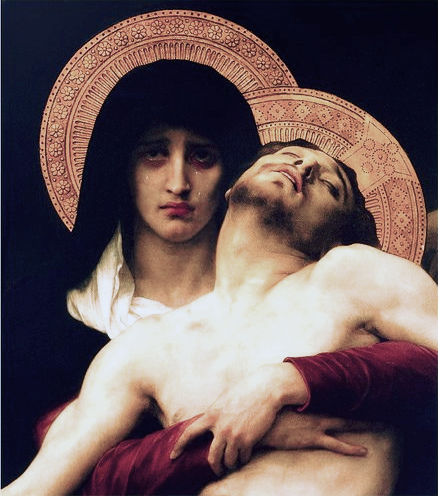 Would not share the Virgin’s grief?